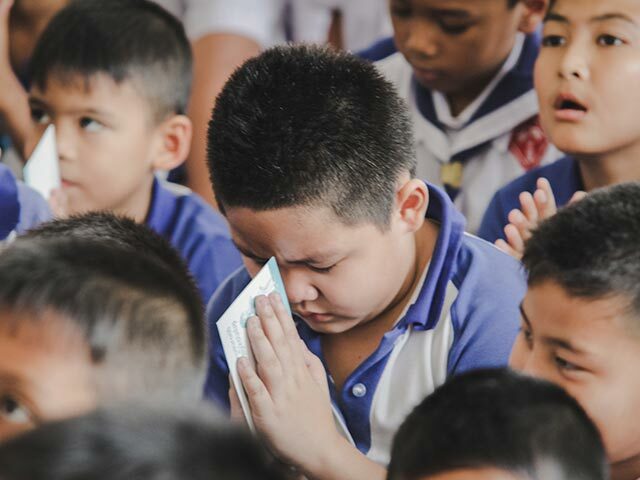 CBN's Prayer Centers around the world are manned by dedicated people who are filled with the Holy Spirit and equipped to interact with those who want prayer or Biblical resources. CBN's Prayer Center phone lines provide prayer as well as Biblical guidance and resources to callers in their own language. We also provide ministry through email, text messaging, social media and live web chats. Globally, the World Health Organization estimates that 350 million people of all ages suffer from depression. According to the American Foundation for Suicide Prevention, each year more than 44,000 people die by suicide in the United States alone. The National Coalition Against Domestic Violence reports that 1 in 3 women and 1 in 4 men have been victims of some form of physical violence by a partner in their lifetime. DivorceStatistics.org records more than 800,000 divorces each year. The CBN Prayer Center completed more than 2.6 million phone calls. These phone calls resulted in more than 2.1 million prayer requests. CBN also fulfilled requests for over 400,000 pieces of literature or CBN products. The Prayer Center continues to increase engagement on social media channels, responding to comments and prayer requests across CBN websites, applications and social media pages. As a CBN partner you can have the confidence of knowing your gift does so many things. Whether bring love and hope to those desperate need of prayer, broadcasting the Gospel, providing life-giving water, feeding the hungry, or healing the sick, each gift changes lives here in America and around the world.